For past few years, we’ve displayed a score for contacts called Klout, which measures overall online influence on a scale of 1 to 100, with 100 being the most influential. Since the Klout API has been shut down by its parent company Lithium, we have migrated to Kred, which provides better social data about your contacts' areas of influence. Kred is a social scoring system that rates contacts based on their Influence over specific online communities or groups. It's a great way to measure the influence that a contact has over specific online communities or groups, based on their Facebook and Twitter conversations and engagement. For full details about Kred scoring, please visit their website. If you would like to see your Kred score, visit this link. 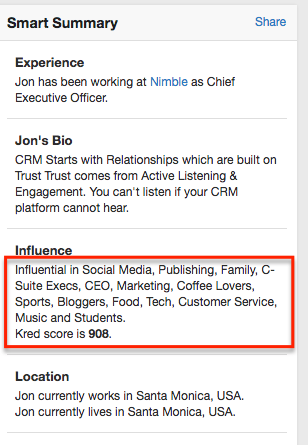 Kred influencer score uses a 1000 point scale. 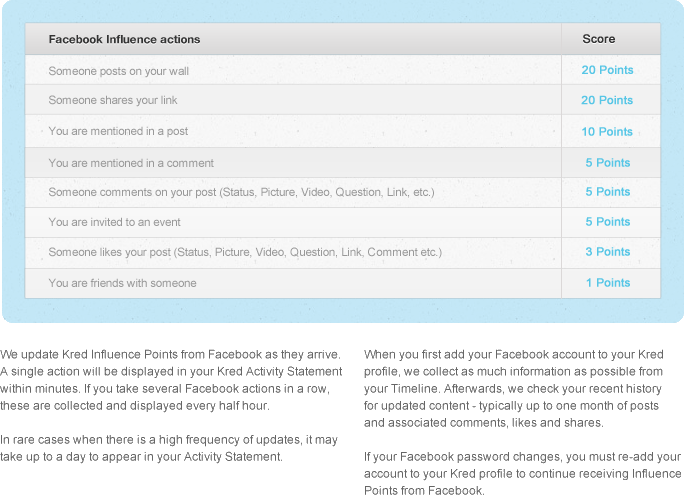 Kred is focused on your Twitter & Facebook posts and interactions. Kred measures how effectively one's social media posts inspire action such as likes, retweets, comments, mentions. What are Kred Influence Communities? Within a Kred profile, you will see areas where you or a contact is influential. Top communities will be ones where one has the most influence and interests. For example, Elon Musk is not a blogger, but he is popular with "Blogger" and "Venture Capital" communities because his tweets are most popular with bloggers and venture capitalists and they engage with his tweets. 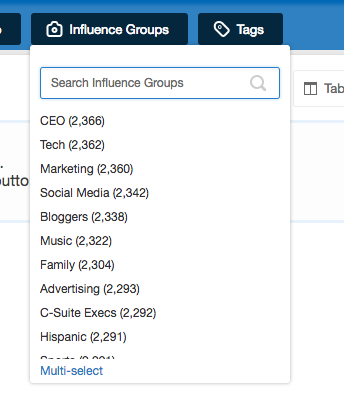 Inside of Nimble, you are able to sort your contacts by Influence Groups, and you will also see areas of Influence on profile records. How is Kred displayed in Nimble? For starters, you will see the Kred logo and score next to the Twitter social card on a contact record in Nimble, as outlined below. In this example, Jon Ferrara has a Kred score of 908/1000, which is really high up there! How are Kred Community Influence Groups displayed? On a contact record, you will see "Influence" on the right-hand side under the "Smart Summary". These are all the groups that a contact has influence over with their social posts. In top facets of Contact search, the button for "Influence Groups" displays contacts by the groups they have influence over. Once you open the filter, you will see a list of influence groups that your contacts affect. 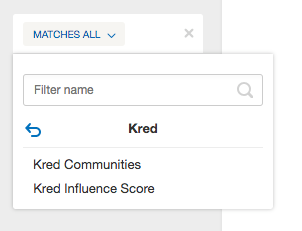 In advanced search, there are filters for Kred influencer score and communities.